RedZora - Yep, that is no doubt why he picked me . . . easy target - fragile and vulnerable. I should have known from the start, after I accepted his friend request. He admitted early on that he had been watching me. Yep, no doubt studying up on me, my past posts, seeing what the nickname that my family calls me and using it right away. I told him early on he would never get any money out of me. He knew that and he told me that he purposely did not talk about his problems, the will, setting up bank accounts, etc because he did not want to lose me. He had found someone else to help him in that department. I am not sure what his plans were for me? The blackmail was not going to work because I would not get on a webcam and do anything intimate. It was probably going to be something happening to him at the airport during his trip to see me in a couple of weeks. He said he was planning to quit his job next month. He was interested in getting into real estate with me. I told him that he probably would do well with it since he is so persistant, remembers details and has a calm personality. lol. Anyway, who knows what his plans were for me? But, whatever they were they certainly were not good. Duckhunter - I will be meeting this other guy at a public place. He does not know where I live. He may just be smitten. I will soon find out. His plans were to get as much money from you as he possibly could, no matter what it took to do it. You should be very proud of yourself that you became wise to him as early as you did. It isn't easy. These guys are insidious. As you go forward you should know that there seems to be a certain type of person who falls for the stories and manipulations of scammers (even if only for a short time). These people believe in the goodness of humanity, which is a mirror of their own beautiful hearts. Don't let any man -- even if he proves to be real -- convince you that your value is dependent on his acceptance of, or attraction to you. You are a beautiful soul. He, on the other hand, may not be worthy of you. Thanks, Duckhunter. I needed to hear that right now. Just for the record, I am a man, bflgurl. Not the person you are thinking of. Best of luck to you in the future. Keep your radar on. For the record, I relate to the OPs story and you're not alone. My Scammer approached me on FB as well. Fortunately, I got out in under two weeks and cut off all communication with him. For me, it's only been 4 days since I last spoke with him but I have no intention on responding back to him. It took me years of building up the right friends who love me in my life to finally realize this myself. Even knowing how cruel and selfish humans can be, I still believe there is good in people. People deserve second chances. However, I've learned you give second chances without forgetting what happened the first time (until you're ready to get over it). I am so blessed to have REAL friends in my life who look after me and take care of me. They love and appreciate me for the very reasons I love and appreciate them. They tell me I am beautiful (inside and out) and have nothing but the utmost respect for me--even the many guy friends I have. My friends immediately set up the yellow "caution" flags for me while still being happy if I'm happy... at least till they have a reason to tie me down and knock some sense into me. Two of my friends were the ones who actually got me to accept he's probably a Scammer and I looked into it myself. One of those friends also happened to watch me develop an online relationship with a man who was newly into his second marriage only to have his wife email me and tell me what was up about six months into our relationship. That friend was probably very protective of me since I was lied to (again) by a man, even though that one happened 3-4 years ago. "I just wanted to find true love... is that too much to ask? Guess so." "If I could just get my Scammer to show up in my ER, I'll show him..."
It has been about 8 months now since I first posted about my Facebook scammer. When I first came here I was pretty convinced I was dealing with a scammer but I was not 100% sure. I went against the advice of the moderators and did not end all contact immediately. In hindsight I do wish I would have just listened to the moderators. And that is why I came back to post this. They do know what they are talking about. For me, it was not about proving his innocence but about proving his guilt beyond a shadow of a doubt. I also wanted him to confess. I don't know why I felt I needed this at the time. For the next 3 months (after first posting here) I sought to expose him and I was very open with him about not believing him. He continued to profess his innocence and never waivered from his script about loving me. Finally, I just was done. It just was not worth it. The whole thing robbed me of time that would have been better spent doing something more productive. Time I would never get back. Plus I think it was just not good for me in that I was focused on something that was so negative. That energy was just not good for my life. The whole experience was quite draining. I did finally get my proof. I saw a picture of the "real him" about a month after I initally ceased all contact. I mention initially because after I discovered who he really was I wanted him to know that I knew. So I sent him a chat message telling him exactly what I thought of him. Then I blocked him from my account and never looked back. I thought that I should post about this because I do wish I would have just listened to the moderators. I cannot get the time I spent on this idiot back. And, yes I am fine with the moderators chewing me out for not listening to them. I expect them to. It's fine. I just want others to learn from my mistake. I rather admire your stepping forward and telling your story. For those who want to know how I finally got to see the "real" him . . . I was cleaning out my gmail account where I had hundreds of chat messages from him. He created a gmail account just for chatting with me. Something made me do a Google search on his gmail emai address and low and behold, up popped his real picture on a Nigerian dating site. He had posted a very sexual dating ad. It was just gross. And his picture looked nothing like the guy he had portrayed to be. His gmail addy was in the ad. Scammers are not smart, in fact their usually quite ignorant. It does not take brains to follow a scripted format. Because they're stupid, we find their real identities often. I'm not going to criticize you for not following our advice. Everyone has their own way of learning. If you had to cause yourself more grief in order to learn, so be it. I appreciate you reporting back though, in order to help others. My only admonition is that all should be aware that continued contact with a scammer also helps the scammer learn too. There are plenty of scammers on facebook it would appear. A recent news article goes onto say, Facebook believes there are more than 83 million fake users on the social network. Duplicate profiles made up 4.8% of the users and 1.5% of users were described as "undesirable". The undesirable accounts were profiles deemed to be in breach of Facebook's terms of service. Typically, this means profiles which have been used for sending out spam messages or other content. Of course I didn't send him any money (though he kept pressuring!). Instead I started googling, and though I couldn't find his email/photos anywhere else, I came across bits of those love letters he sent me and I came across this website, where I learned how to track email IP. It turned out the scammers use proxies - those suspicious IP changing ones so I mostly got US/UK location, but I ended up with Nigeria twice! Yay Buba! I'm glad you didn't get too caught up in the scam - but as you can see, someone as innocent and naive as you were and also someone with a more skilled scammer, would not get off so lucky. That's what's happened to most our members here. Some of these scammers have been working at this for years. Many have good English skills. People don't usually get that this is literally an industry in west Africa. There are store fronts and offices each set up with dozens of computers and they're all manned by grunt laborers who are doing their 'job'. Some make email accounts, some scour the net for text to fill out profiles, others create the profiles and others still will search out new places and all the old usual places, like facebook, to place the profiles. The more skilled in English will be assigned to chat with anyone gullible enough to respond to their initial contacts. Another will read and respond to any email that a pre-written format email won't do for. Eventually a victim gets settled in with one scammer, if they chat a lot and then the boy chatting might stay consistent with his victim, but usually there are many fingers in the scam pie. Of course there are rogue boys who scam alone or maybe with only a couple partners, but they don't make the big money that these 'corporate' scammer groups make. Now you might wonder how a scammer can spend so much time with you and risk not getting a payoff. Think big. No scammer works one 'job' at a time. They have many. The larger the group, the more jobs in the pipeline. There's usually at least one paying off a day. One scammer chatting can manage probably three or 4 victims at any given time. It's why they rarely use your name. They will always call you honey or baby. 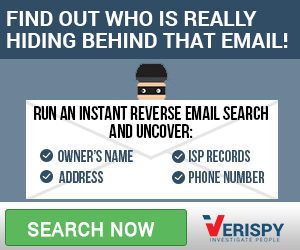 Scammers exchanging emails can get off hundreds of emails a day! This is why I believe RS is so important. There's no way to fight this huge scam machine, other than to educate people to the fact that they exist. Won't you please tell everyone you know about this? Even if they scoff and say, "They can't fool me," it doesn't matter. After you tell them, they won't get fooled. Thanks Pinky! I'm glad it's over and happy not to have lost any money - but still, it was a completely new experience for me. I generally trust people, and I met a lot of great people online and we became good friends in reality. And I'd never think scammer could be targeting me - I don't use dating websites, I don't come from a wealthy country, I don't think my profile screams "rich". I was completely unaware at first, I thought someone is really looking for friend/love, even the spelling mistakes didn't strike me that much - well, my late dad was a very well-read man, an engineer who had awful dyslexia and made horrible mistakes all his life. It was only later that I became suspicious - when the person I was mailing with, changed some vital facts, mixed up some details, sent the same email twice. I also talked on the phone with one of them and then I became sure something is wrong - I'm not from the UK/US but I'm bilingual and have an English degree so I recognized the weird accent - but still, I think that many non-native English speakers may not realize that, as they choose the best English speaker to talk to you! After reading RS for just three days, I'm pretty much sure they operate on a large scale, and it's not just one person who's responsible. That may be one of the reasons they send you the same stuff twice (and most of the mail can be easily googled - all of them use the same format). I'm really grateful for all the information I ound on RS. I feel it's vital to spread the knowlegde and I suspect many of my friends are completely unaware of the risk, so I posted my story on my FB wall and the boards I use, together with RS links. The more people know about such scams and the methods to detect a potential scammer, the better. I have been contacted of one of those the same storie but was Kinda. Welcome to RS and feel free to post all info of your scammer here.